Julia’s practice has an emphasis on divorce, the financial consequences of relationship breakdown and disputes about child arrangements. She provides practical legal advice and excellent advocacy at all court levels, with maturity and expertise beyond her level of Call. She is approachable yet professional. Julia undertook pupillage in Chambers, during which she was awarded the Pupillage Advocacy prize by the Honourable Society of the Inner Temple. She was shortlisted as Jordan’s Young Family Law Barrister of the year in 2016. As well as having established an extremely busy practice in her own right, Julia has worked as part of the legal teams in two Supreme Court cases (Re B (A Child)  UKSC 33 and In the Matter of LC (Children)  UKSC 221). She has been led in numerous recent High Court cases, including in Re AD and AM (fact-finding hearing) (Application for re-hearing)  EWHC 326 (Fam) and Re AD and AM (Fact-finding: Rehearing)  EWHC 2912 (Fam), child arrangements proceedings involving a high-profile client and a cross-jurisdictional, substantial asset financial remedy case in which a variation to a lump sum by instalments was sought. 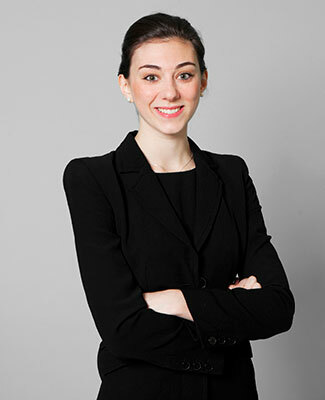 Having served as a member of the Inner Temple Junior Bar Association Committee for three years (as pupil representative, social secretary and as family law representative), Julia acts as a mentor through the Inner Temple Mentoring Scheme, assisting aspiring barristers during their BPTC year. She continues to volunteer on the advice line for charity Rights of Women, to which she has been committed for the past few years. “Julia did an exceptional job. I shall be instructing her again and telling everyone about her”.